The council continues to focus on providing cost-effective and quality service delivery while managing financial performance prudently. Almost 900 new people per week made Auckland their home and this has resulted in the need for a large capital investment programme. 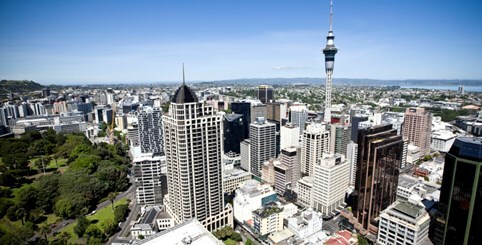 “In 2017/2018 the Group is planning to invest more than ever before in new assets for Auckland. The total capital budget of $2 billion, is predominantly being spent to help cater for population growth or to improve service levels." “A key area of the Group’s focus is investment in core infrastructure to improve the transport network and to support building of new dwellings. Transport and water network infrastructure investment, (water supply, wastewater and stormwater management), will make up $1.3 billion or 65 per cent of the capital budget." Domestic waste collected per Aucklander 144kg (153kg). See pages 20 – 33 of the Summary Annual Report for more detailed information. The council remains committed to improving performance where targets are falling short, and has implemented processes to address these going forward. The 2016/2017 Summary Annual Report and Annual Report are available on the Auckland Council website.